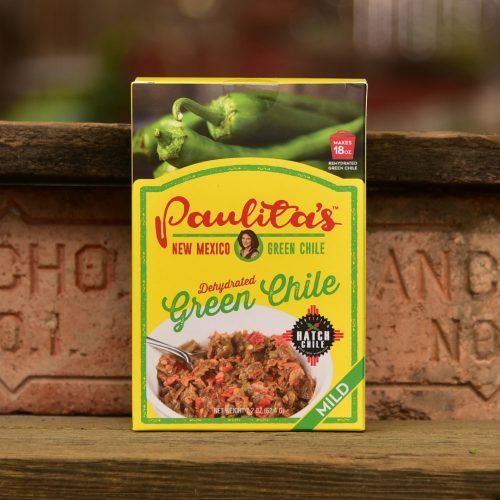 Paulita’s Green Chile Marinade with Hatch Green Chile combines the southwestern flavor of green chile with the smoky taste of mesquite. 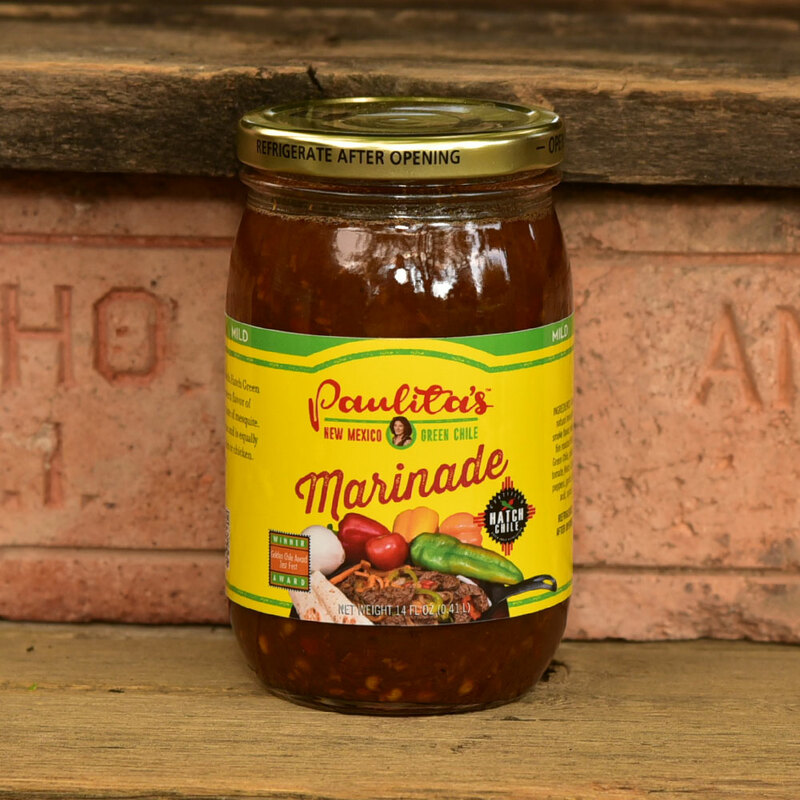 This marinade is excellent for fajitas and is equally at home with brisket or roast. Marinate overnight for extra flavor. 5 out of 5	Weekend BBQ! We used the marinade for our ribs and New York strip steak, and the the green chile seasoning for our corn on the cob and sprinkled some on our jalapeño poppers! All I can say is “WOW”!! Everyone we invited raved about how yummy everything was! 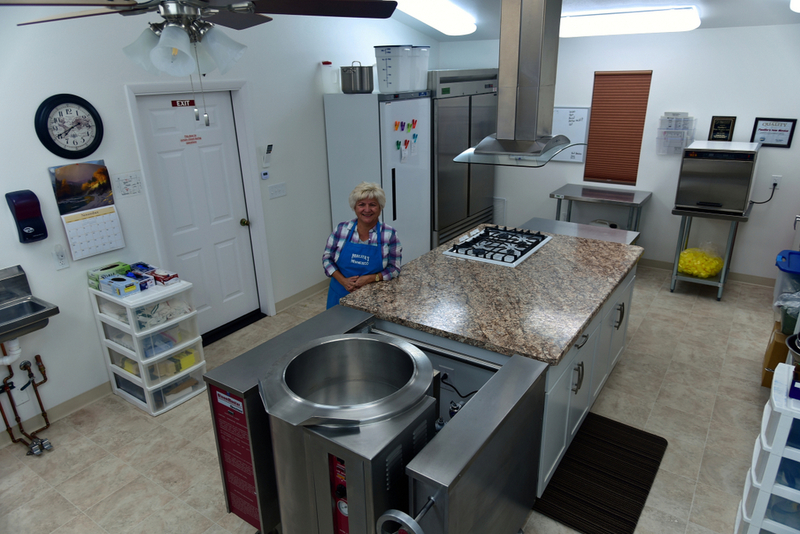 We can’t wait to try other Paulita’s products! I have used this on pork loin, beef brisket, and chicken. I was wonderful on all of them. 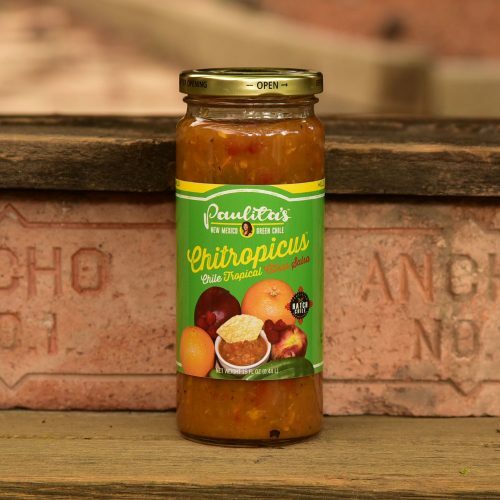 Great flavor without overpowering heat. It’s a keeper and will see much use in this household. This marinade is wonderful with just the right amount of heat to compliment and enhance the flavor of the meat. It is great on any white meats (pork, chicken, fish) which is pretty much all that I eat. 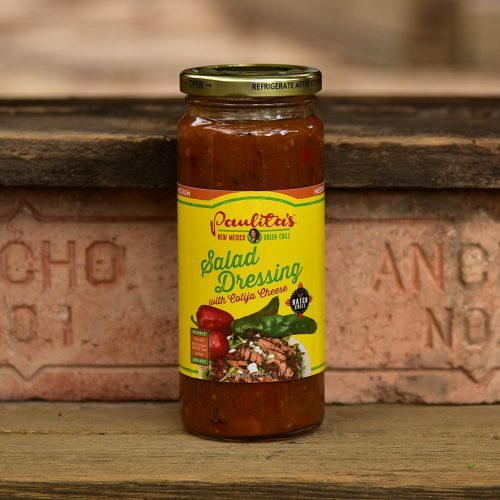 Water, natural smoke flavor, vinegar, fire roasted green chili, red chile peppers, spices, citric acid.